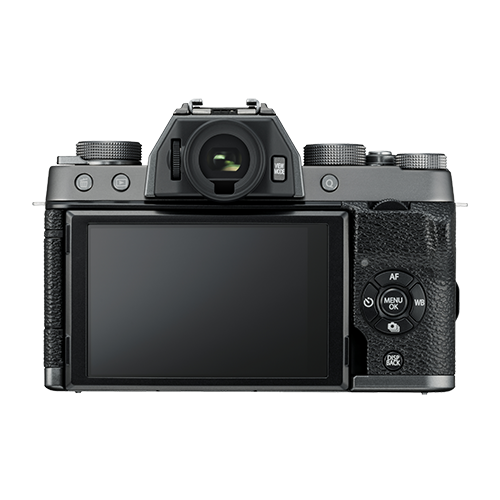 The new X-T100 offers a host of features including a high magnification electronic viewfinder, horizontal tilting rear LCD screen, built-in Bluetooth® technology for quick and easy image sharing and an extended battery life allowing up to 430 frames per charge. 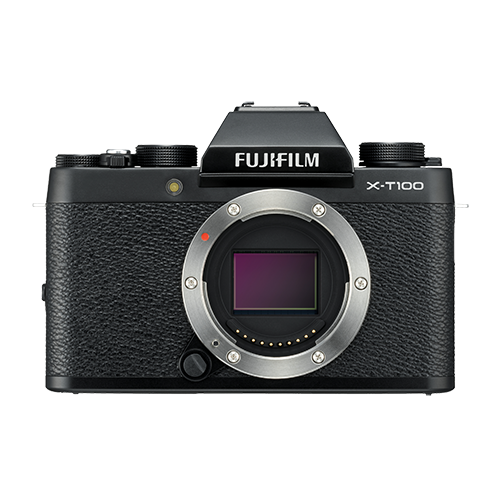 The X-T100' Phase Detection Autofocus system and algorithm (designed for flagship X-Series models) ensure quick and precise capture of images even when photographing fast-moving subjects. 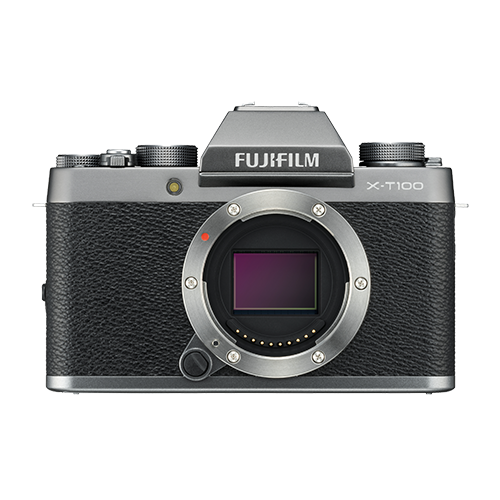 The camera's advanced SR+ Auto shooting mode - provides intelligent, fully-automatic shooting - which is perfect for difficult situations where where it's hard to choose the right setting, or when a series of quick shots is what the photographer is after. 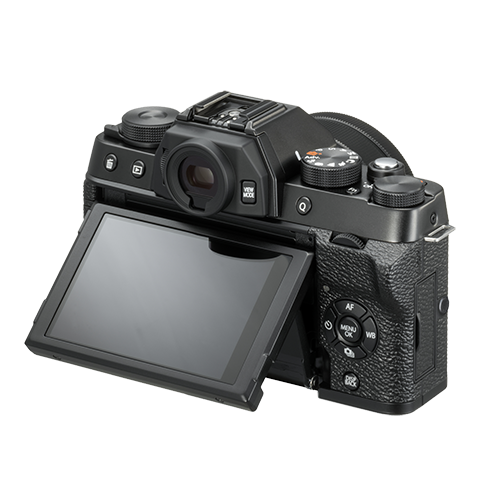 The X-T100's 3" touch panel display to make composition easy. 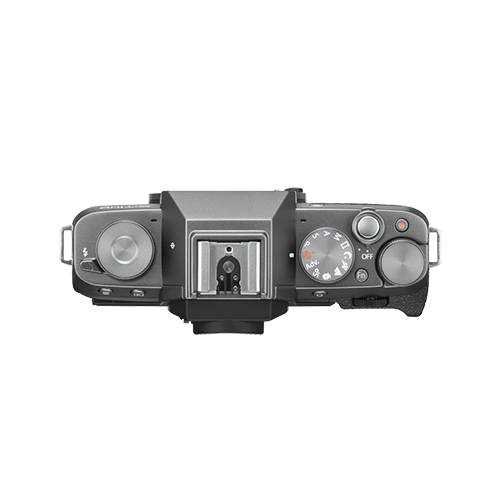 It provides crystal clear view of the action, as it swings out horizontally to almost 180 degrees. 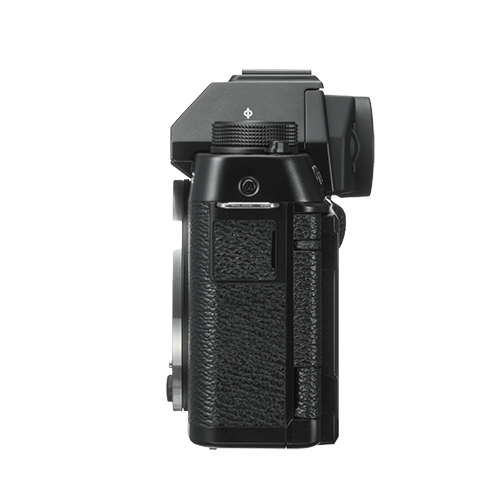 It makes composing shots at awkward angles easy and, it also makes it possible to take selfies or shoot video blogs.